Tsukiji Market is the biggest fish market in middle of Tokyo. The outside market is part of it. The outside market is different from the inside market because the inside market is for whole sellers. 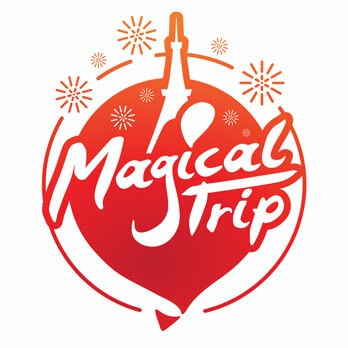 There are lots of tourists from abroad in the outside market. 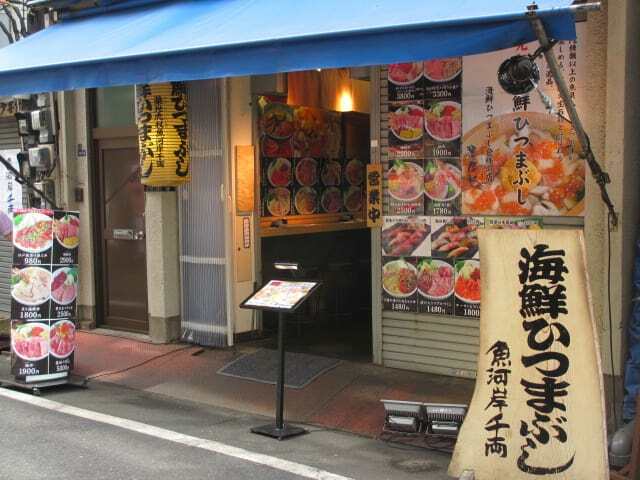 Seafood specialist Uogashisenryo is also located in the outside market. Let’s me tell you about this Uogashisenryo. Uogashisenryo created a signature dish “Kaisen Hitsumabushi” (marinated fresh water eel rice bowl) They use a lots of seafood not only from the market but all over Japan. You can try “Itadori Ganso Kaisen Hitsumabushi” (the most authentic seadfood rice bowl) You can also try Japanese rare sea unchain. One more unique thing about this place would be that you can see the chef’s performance if you sit at one of the counter seats. They got lots of media coverage, so it’s worth a visit. Delicious seafood rice bowl place Uogashisenryo offers tuna dissecting show dinner set. This set meal comes with freshly dissected tuna fish after the show. It’s a great deal to have meal and enjoy the show together. The set meal comes with 6 pieces of Japanese authentic small dishes, sushi, dessert and unlimited drink. They are all for 8000yen. 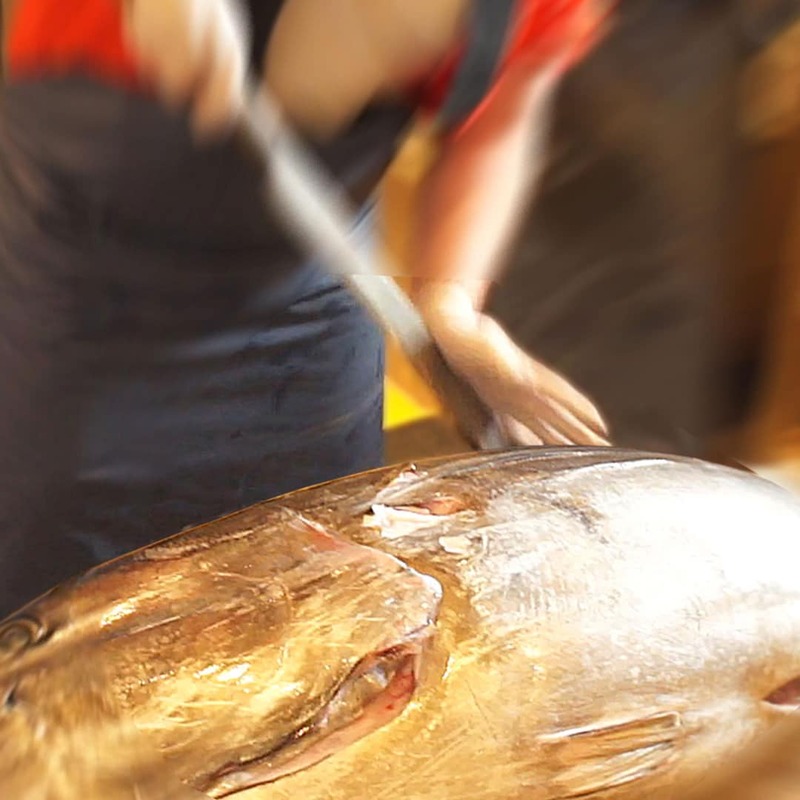 The price is not cheap, however, it’s worth the money to see a sophisticated professional dissect a ginormous tuna fish. 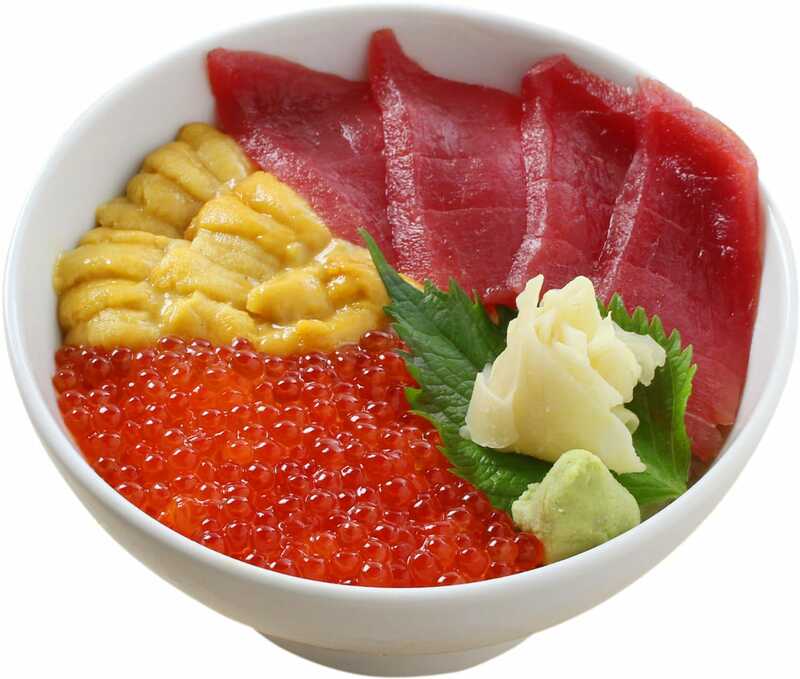 If you were a sushi mania, you would come back to “Itadori Ganso Kaisen Hitsumabushi” (authentic seafood rice bowl) 3 times. Itadori Ganso Kaisen Hitsumabushi has been praised by media as “treasure of the sea” About 10 different seafood in the dish, you can enjoy three different tastes: seafood, sea unchain and tea risotto. This is the authentic one so enjoy the original taste. 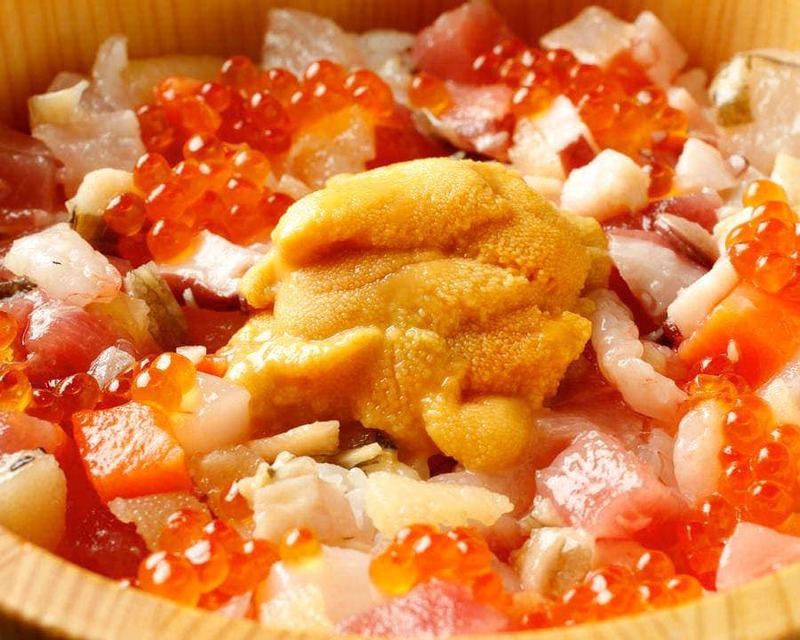 If you want the luxury, you want to try “sanshoku-don” You can enjoy plenty of tuna, salmon roe, and sea unchain; the price is 2000yen, I would think this price is only possible at this place.